Mets played a near perfect game tonight to provide a much needed walk off win and salvage such a resilient and dominant start by Jacob Degrom. The Mets two days ago looked like a team ready to take another nose dive as they were swepted by Andrew McCutchen and the pittsburg pirates in embarrassing fashion. But after that game on Sunday Terry Collins had a meeting to discuss the subpar play the Mets had in the series and ignite a fire that looked to be out. The meeting has seemed to work as the Mets have responded with back to back wins and within a game and a half of the Bryce Harper led Washington Nationals who lost to the Chicago Cubs tonight. Jacob Degrom has been lights out as of late after suffering back to back horrendous starts earlier in the season Degrom has seemed to find his electricity and is mowing down batters at an alarming rate. Tonight’s resilient effort was erased in an inning but he silenced the Phillies bats for 7 and 1/3 innings before giving up back to back hits that ended his night along with his decision. Degrom finished with 7.1 innings pitched allowing six hits two earned runs and 9 strikeouts. As he retired 11 straight batters at one point in the game. Robles entered with runners on 1st and 2nd as Ben Revere hit a triple in the gap on the very first pitch he saw from Robles bringing in both runners to bring them within 1. Freddy Galvis followed with a single to tie the game at 3-3. Carlos Torres entered the game to help preserve the tie but instead gave up a single to Maikel Franco who drove in Galvis for the brief 4-3 lead. 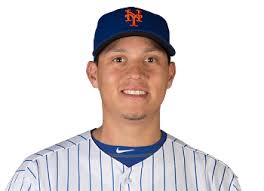 Wilmer Flores who seems to be getting comfortable to MLB pitching has found a home in Queens. The last couple of nights Flores has been a major contribution bringing his bat when the Mets need it most. In the first game of the series it was his 3 run HR that sealed the victory and today his sac fly tied it in the 8th inning letting the Mets go to extra innings. Kevin Plawecki contributed in a huge way when he was able to throw out (CF) Odubel Herrera on a steal attempt delivering a perfect throw that really threaded the needle and caught the speedy Herrera by a fraction of a second to help preserve a tie. In the tenth inning the Mets were able to get runners on first and second with no one out but a double play by Daniel Murphy left the game winning run on third with 2 outs. After a Michael Cuddyer Walk none other than Wilmer Flores came up to the plate. Staying aggressive he swung at the first pitch blooping it over the shortstops glove providing a walk off victory at home. Flores not only provided the fans with a memorable moment he was also able to do it in front of his dad who was at the game.